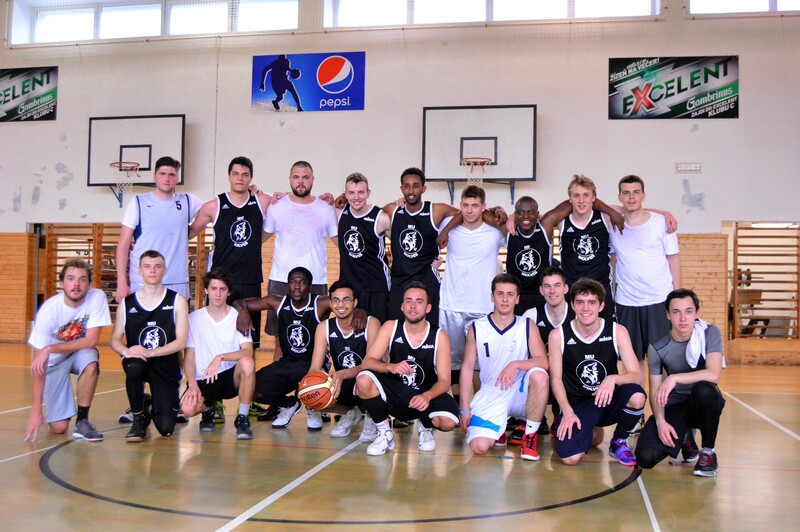 Anglo-American University’s dominance in the first three quarters of the basketball match against Masaryk University’s Faculty of Medicine was not enough to outplay the Brno team. The medical faculty trailed behind in the third quarter 41-37 but managed to bounce back and end the match 57-53 with a successful offensive play. After coming into the game against the weak-starting Brno side, AAU dominated by leading 12-11 in the first quarter and 33-22 in the second. AAU Basketball coach and Captain Adi Hadzic believes his team was committing too many fouls and was not as fit as the Faculty of Medicine side. AAU contests for the ball in Masaryk University’s territory. AAU captain Adi Hadzic tries to find space. 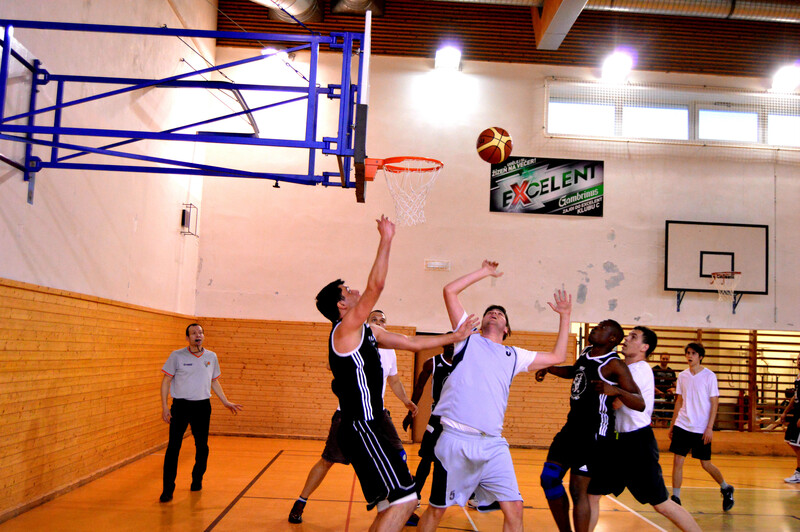 This was the first time AAU basketball team played against Masaryk University’s Faculty of Medicine. “We’ve left the game today knowing what our mistakes were and we will be working on them in preparation for our next match,” Hadzic said. Faculty of Medicine captain Ricardo Catumbela was delighted with his team’s performance after coming all the way from Brno for the match. The friendly match was played at CZU University’s sporting complex in Suchdol. AAU has been invited for a re-match in Brno in two weeks, however, Hadzic has not decided yet. AAU and Masaryk University’s Faculty of Medicine after the match.